James Marsden – equal parts leading man, superhero, and comic relief – discusses his diverse career, working with Sir Anthony Hopkins, and his measure of success as an actor. Plus, why James’s craziest fan encounters really belong to Chris Pine. Westworld actor James Marsden sits down to discuss the series, HBO’s serial adaptation of the movie of the same name. He relives some of the joys of making the series, especially realizing a personal dream of working with Anthony Hopkins. James Marsden also speaks to the mystery components of the show, with every episode leaving the viewers with unanswered questions. James Marsden recognizes his roots in Oklahoma, and how his origins as a high school theatre geek have led to his successful Hollywood career. He retraces the path to his breakout role in ‘X-Men 2,’ and the shifts that he has seen in his own career. He speaks to both the good timing and the hard work that have led to his leading man roles. 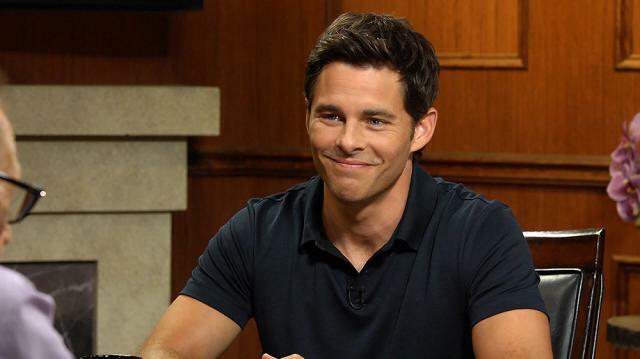 Film and television actor James Marsden gives insight into his life off-screen. He bonds with Larry over the joy of fatherhood, and the satisfaction he gets from involvement in his son’s life. He relays his favorite hobbies from years past, including performing music and woodworking. Finally, James Marsden addresses what he hopes to see from his own career, and his dream collaborators.